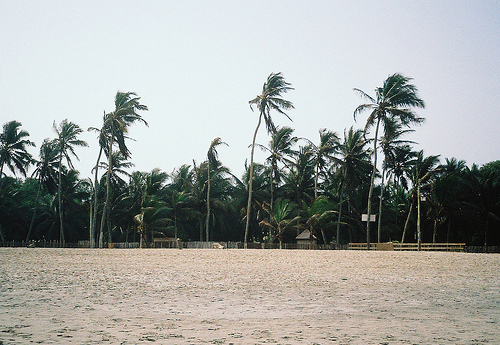 Labadi Beach is located a little east of Accra, and is a 2.5 mile stretch of sand. This is a very developed beach full of lots of food vendors, as well as music performers playing drums or reggae, or even performing acrobatic moves. It is more of an adult and young traveler beach than a family beach. People have to pay to get onto the beaches, unless they are staying at the beach resorts. Swimming is possible, but the waters get choppy. Lots of restaurants and bars are located around Labadi Beach. 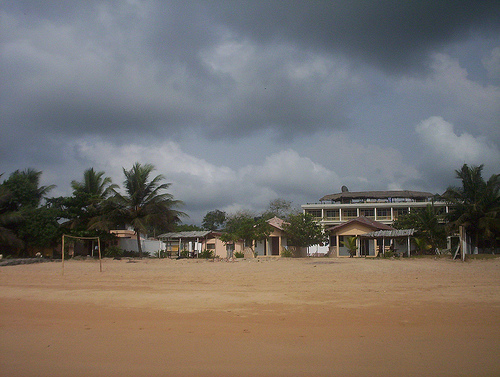 Kokrobrite is located about 20 miles west of Accra, and is a small fishing village. 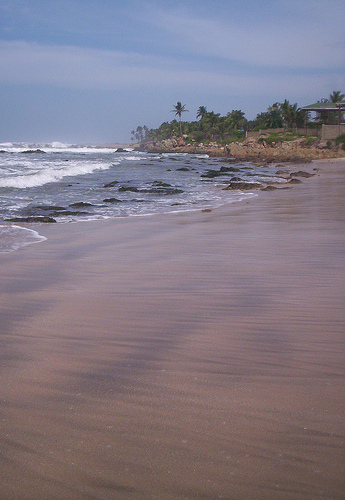 It is a very sprawled out beach against beautiful hills full of pristine nature. The beaches in this area are considered the cleanest in the country, and do not usually attract overwhelming crowds, but there is a small scene of reggae fans and Rastafarians. There are lots of palm trees on the beach, providing fresh coconuts year round. There are also some huts on this beach made from palm and coconut branches for shelter. People can swim, but the waters tend to get choppy. 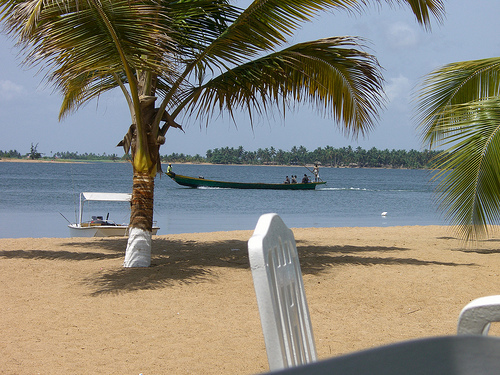 Ada Beach is a small fishing town with a popular beach where people go for fishing, water skiing and yachting. The Volta River runs into the Atlantic Ocean on this beach. It is a natural environment where sea turtles breed, but people should refrain from disturbing them. 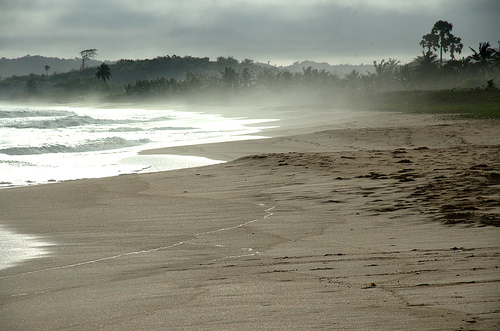 Alaska Beach is on the shore of the Gulf of Guinea, and is most visited by backpackers looking for a low-key time. This beach is somewhat developed for visitors, with camping facilities, showers and toilets. People who go here can also enjoy options of traditional Ghanaian food. Misty Beach is not very touristy, and actually does get quite misty, to merit its name. Some people stop here when they are going from Accra to Tema.